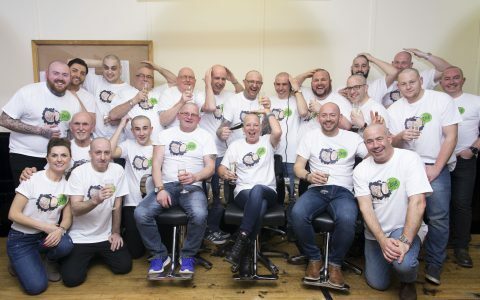 An incredibly daring group of nineteen fundraisers sacrificed their locks this month by shaving their heads, all in the name of a good cause. April marks Bowel Cancer Awareness month, a time of year when we are reminded to be vigilant of the signs and symptoms of this common cancer. 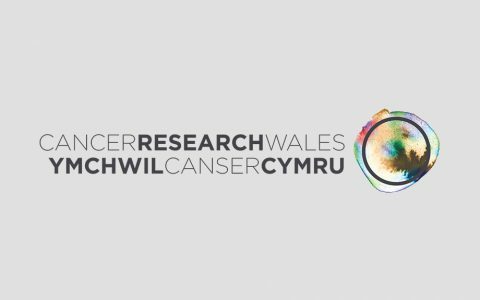 Along with other organisations, Cancer Research Wales is helping to address some of the challenges and opportunities as they relate to bowel cancer in Wales. To mark LGBT History month in February, Cardiff Metropolitan University implemented a variety of initiatives to promote equality and diversity across the University including; a newsletter from the LGBT+ Staff Network Chair, LGBT+ equality information stands on both campuses, awareness raising through external and internal sources and signposting to LGBT+ support and information services. 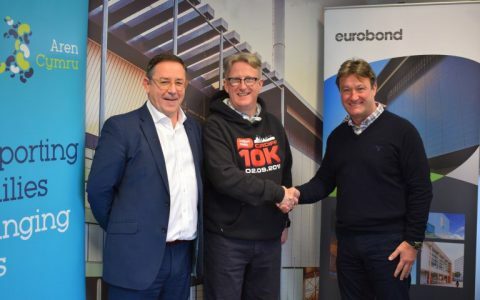 Eurobond Laminates and Kidney Wales are challenging companies throughout Wales to step up for this year’s famous Nation Radio Cardiff 10K race this autumn. 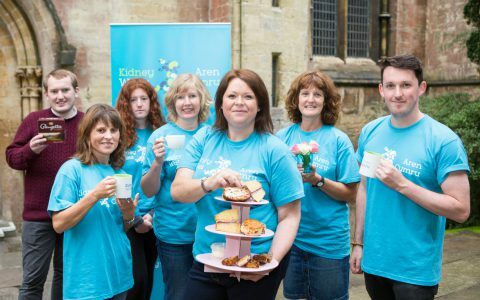 Throughout March, supporters of Kidney Wales, are being encouraged to host their own tea party to help raise money to support kidney patients and their families. 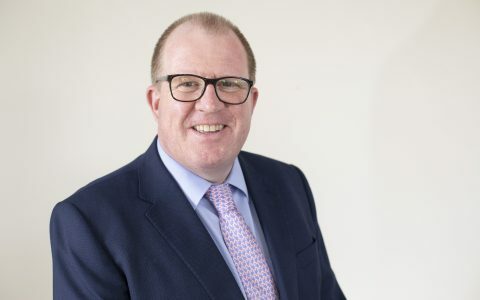 Mike Gahan, an avid supporter of Cancer Research Wales, will be taking on the mighty challenge of Everest Base Camp this year to raise vital funds for the charity. Missed out on the SOLD-OUT ABP Newport Marathon? 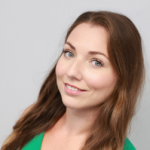 You can still run for Cancer Research Wales! If you missed out on the chance to enter the sold-out ABP Newport Marathon taking place at the end of April, all is not lost. Cancer Research Wales still have free spaces available, so you can dust the snow off your trainers and start making paces, all in the name of a good cause! 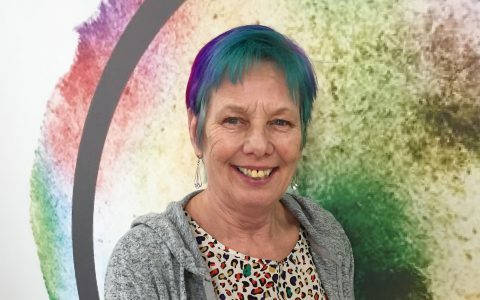 A retired woman from Cardiff, along with twelve others, is hoping to raise £10,000 for Whitchurch-based Cancer Research Wales this spring by shaving her head. 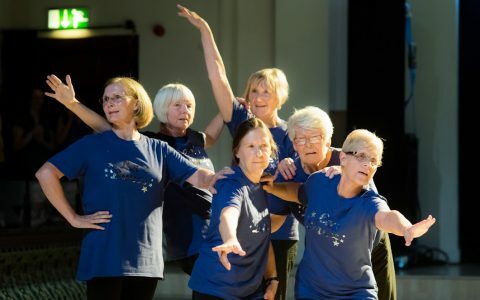 One of the UK’s leading community dance organisations and charity, Cardiff based Rubicon Dance, has announced it will be taking over the former Roath Library building to accommodate its ambitious growth plans to expand its work in the community.